When you fall sick at night, it can be difficult to determine whether or not you need medical attention or if you will simply feel better in the morning. 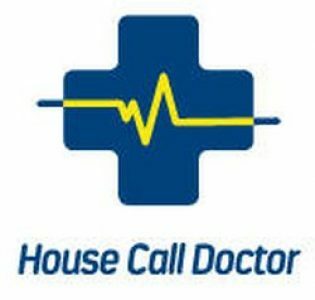 As a home doctor service, we have put together a list of common reasons why our patients have booked a home doctor. Cellulitis: As this skin bacterial infection is particularly common in older people, many of our home doctors have been called to provide the appropriate treatment (for instance, antibiotics) before any case of cellulitis worsens. Common symptoms of cellulitis include the affected area looking red, swollen, and feeling tender. This is because the infection is caused when bacteria enter the skin and spread to tissue underneath the skin. Urticarial inflammations: Otherwise known as hives, this skin rash can be triggered by many things including foods, medicines, or other irritants. Its usual cause is from an allergic reaction where red, itchy welts will appear (often in different shapes and sizes). Hives can also look very similar to mosquito bites. Depending on the severity, a doctor will usually advise antihistamines, either over the counter or prescribed. Impetigo: Or otherwise known as school sores, this skin infection is particularly common in children – therefore giving it its name. It is incredibly contagious and requires a consultation with a doctor as soon as possible. To identify school sores, parents should look for red or itchy skin and blisters (usually around the nose and mouth) on their children. Once diagnosed, there are many treatment methods including ointments and creams, or in severe cases, prescription antibiotics. Many children tend to injure themselves at school and will return home in pain when it is too late to visit a doctor during working hours. As a home doctor service, we have noticed a large number of our patients will book a home doctor for physical injuries, such as sprains, strains, and pains. Along with this, many adults often suffer from work related or sporting injuries and require medical attention for acute sprains to neck, hip, and back pains. Though, there are still the odd few people who believe their injury is not severe and does not require a consultation with a doctor. If you are experiencing any of the below, you should see a doctor. Any pain causing you to be unable to move the affected area. Heat (this will be caused when there is inflammation in the joints or muscle). A common occurrence tends to be patients believing they do not need to see a doctor as their injury is only minor. However, medical attention is required simply to exclude serious injury which could potentially require advanced treatment.